Transaction follows receipt of regulatory approvals. Combined business produces diagnostic solutions for over 14 million patients annually from a global network of 21 manufacturing centres and a customer base of over 6,000 public and private hospitals around the world. PARIS, France and ST LOUIS, Missouri, January 27, 2017: IBA Molecular has successfully completed its acquisition of Mallinckrodt Nuclear Imaging, announced in August 2016, following the receipt of regulatory approvals. This merger brings together two leading nuclear imaging businesses with complementary strengths, manufacturing capabilities, commercial footprints and operational networks. The enlarged business will employ over 1,500 people globally, supplying more than 6,000 public and private hospitals around the world with diagnostic solutions. It will comprise 21 manufacturing centres (including 3 SPECT1 sites, 1 molybdenum manufacturing facility and 17 PET2 sites) and commercial operations across 60 countries, that will enable it to deliver significant economies of scale. Annually, the combined business will provide potentially life-saving diagnostic solutions to over 14 million patients globally. Nuclear imaging will continue to be at the core of the enlarged organisation as the business plans to invest further in organic and in-organic growth opportunities. With the challenge of ageing populations around the world and the rising incidence of diseases, solving diagnostic challenges to ensure patients have better outcomes has never been more important. Nuclear medicine is a specialised area where ‘SPECT’ and ‘PET’ cameras are used to capture emitted particles from radiopharmaceuticals and the technology is used to monitor major disease areas including oncology, cardiology and neurology. 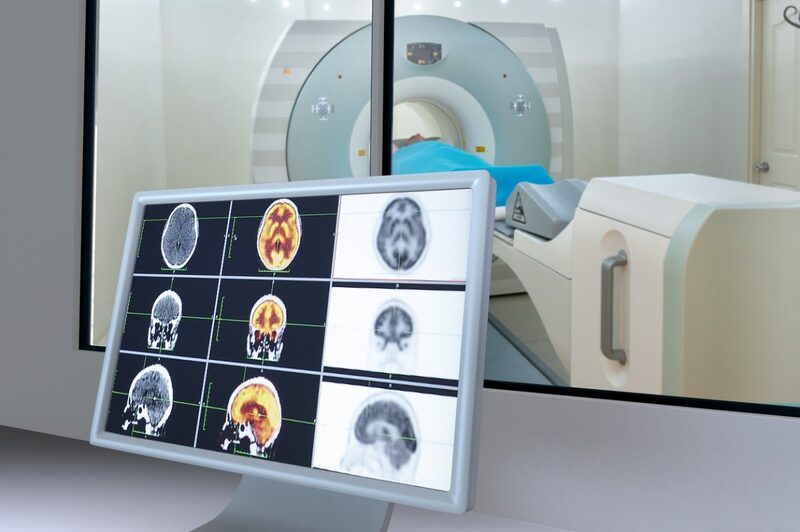 The combination of the radiopharmaceuticals and the advanced imaging technology helps doctors to diagnose diseases earlier and more accurately, making treatments more effective and, as a consequence, reducing the long-term cost of care. IBA Molecular is a highly diversified global supplier of molecular imaging and other proven technologies in nuclear medicine, mainly SPECT and PET products. The company operates across 18 sites globally, servicing a growing client base of private hospitals and health/imaging clinics in over 70 countries. It produces radioactive tracers used in molecular imaging and therapy to diagnose and monitor a range of common diseases including cancer, heart, brain and bone. IBA Molecular was created in 2012 following the buy-out of the radiopharmaceutical division of Ion Beam Applications (“IBA”) SA, a European-based leader in advanced cancer radiation therapy which is listed on the Euronext pan-European Stock Exchange. In 2016, IBA Molecular was acquired by CapVest. IBA Molecular is today a wholly separate business from IBA SA. Mallinckrodt’s Nuclear Imaging business is a global producer of the medical isotope molybdenum-99, and its derivative, Technetium-99m, which is used in nuclear medicine procedures worldwide. The business has manufacturing operations in the US and the Netherlands, close to critical transport links, and its products are approved for use in many countries. Over two-thirds of its revenues originate in the US. CapVest, which was established in 1999, is a leading private equity firm with a strong record of success. The firm’s investment strategy is focussed on identifying and managing investments in companies supplying essential goods and services. A patient investor, CapVest works closely with management to transform the size and scale of its investee companies through a combination of organic and acquisition-led growth.